What happened in the base metals space this week? Here’s a look at the top stories covered by the Investing News Network. This week, the base metals space saw price drops across the board, as nickel, copper and lead fell on the London Metal Exchange (LME) from Tuesday’s (April 9) weekly highs. After peaking at US$13,155 per tonne this week, nickel spent the next two days stumbling downwards, closing at US$13,010 on the LME on Thursday (April 11). Copper had a very similar story, as it jumped 1.01 percent from Monday (April 8) to Tuesday, reaching US$6,497.5 per tonne on the LME. The red metal then fell right back to its beginning of the week price point, landing at US$6,432 on Thursday. On the flipside, this week saw zinc rally from a weekly low of US$2,935 per tonne on Tuesday to US$2,979 on Thursday, marking its highest point of the week. Lead joined nickel and copper in trending downwards, as it saw a drop off following Tuesday’s US$1,977 per tonne price point. The commodity eventually landed at US$1,941.50 on Thursday. Although iron ore prices took a small dip through the week, the base metal managed to rally on Friday (April 12) as it grew 0.2 percent to US$93.79 per tonne as of 4:39 a.m. EDT. After over a month of ongoing protests by a local Peruvian community, MMG (ASX:MMG,HKEX:1208) announced on Monday that it has reached an agreement to have the illegal blockades lifted near its Las Bambas mine. In late February, the major copper producer said that outbound concentrate transport from Las Bambas had been disrupted by a community blockade on a public road. According to MMG, the protest stemmed from issues related to the company paying to use a road that runs through the local community’s farmland. Keeping its primary focus on expanding the Grasberg copper-gold mine in Indonesia, Freeport-McMoRan (NYSE:FCX) has cleared its two year schedule of acquisitions, debt buybacks and dividend raises. Speaking with Reuters at the World Copper Conference in Santiago, Chile, CEO Richard Adkerson explained that this game plan will put the company in a better position to resume the corporate activity that it has temporarily put on hold. “For two years, we’re going to be focused on this transition. If things go well with that … two years from now we’re going to be well situated to then look at further debt reductions, potentially higher dividends, potential investments in new projects, and we’ll be open to seeing if there’s anything in the global M&A market that meets our objectives,” Adkerson said. New Century Resources (ASX:NCZ) has boosted its zinc production by 50.4 percent from 2018’s fourth quarter, hitting 18,170 tonnes during Q1 2019. The increase comes as the company continues to ramp up production at its Century mine in Queensland, Australia, a process that began in August 2018. Total zinc recoveries averaged 50 percent in March and peaked at 54 percent, which New Century says is 86 percent of the asset’s design target. Zinc produced in Q1 came from 37,500 tonnes of concentrate grading 48.3 percent zinc; in contrast, Q4 2018 saw 25,500 tonnes of concentrate at 47 percent zinc. Silver content came in at 152 grams per tonne within the concentrate in both quarters. In a quarterly update released Friday, OZ Minerals (ASX:OZL,OTC Pink:OZMLF) stated that its Prominent Hill copper-gold operation in South Australia is on track to reach its annual production guidance of 95,000 to 105,000 tonnes of copper and 115,000 to 125,000 ounces of gold. The company also reached first ore at its Carrapateena copper-gold asset, which remains on track to see commissioning in Q4. 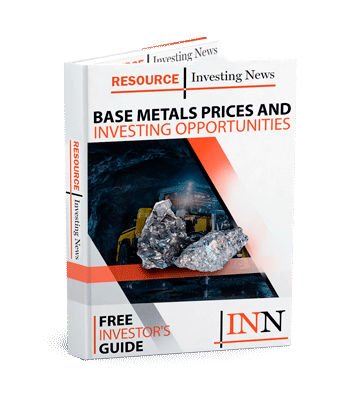 Meanwhile, Taseko Mines (TSX:TKO,NYSEAMERICAN:TGB) announced Friday that it has produced first copper out of its Florence project in Arizona. According to the company, the project’s production test facility is now fully operational and producing copper.